Home / Columnists/ Think, speak, walk and act with purpose! Think, speak, walk and act with purpose! As a nation we are perhaps positioned within a time period where we need our population to act with purpose rather than with discord. We currently appear to find solace in distress and appear to be a nation in waiting for trouble with all the news alerts switched on! A recent market research survey has revealed that a Sri Lankan on average come up with four excuses per day. What the average is for Sri Lankan politicians we will never know! We really have to perform with purpose. We have far too many issues looming and our nature too appears to be not lending a helping hand. I have just stopped at a pedestrian crossing, as I should as a driver. However I remember the local defence driving instructor’s comment when I did the same many years back with him on the left seat critically appraising my driving skills. Then I was not going to take a chance of crossing the line at all, as driving instructors have a quite a different way of pointing your mistakes. However, his response when I stopped was much more puzzling. He said if the person who is about to cross is not exactly looking at your face and looking elsewhere then his advice to me was – please then do not stop as you may get knocked by the vehicle following you from behind. I am yet to understand this piece of instruction though we very well understand the issue of someone knocking you from behind with bumper-to-bumper traffic where the separation distances are only confined to books. I witness individuals crossing the street either across the ‘white lines’ or otherwise and also the typical stride of a pedestrian. I also mentally compare the image with that I have of a picture in Singapore or in USA. There is an order of magnitude difference in the speed when comparing Sri Lankans and those who are in the aforementioned countries. May be I am wrong as I do not have enough ground level experience to compare but with mental recollections from movies and documentaries. We walk as we have all the time in the world and never in a hurry! We have been told that brisk walking is a boon, and there is ample evidence from medical research. To cap the laziness today, it is also very much evident the presence of an all-too-familiar mobile phone firmly planted on one ear while crossing oblivious to the world around you, but perhaps discussing all about the world! We are also showing an ability to have any number of excellent conversations using the mobile at any time irrespective of the task that we are engaged with. However, as our drivers are usually in a mighty hurry there is sad amount of data on many a pedestrian being killed! Your urgency once behind the wheel – one place where Sri Lankans always display urgency – and seeing that the person in front of you has no such indecent haste at all, result in one’s foot on the accelerator with negative results. When one gets to hear the prevailing inner issues of our organisations it is simply impossible to believe that we are going anywhere meaningful under these conditions. I am not sure whether management by walking about is at all practiced as the most of the time management is transported around from one meeting to another and rarely have enough time to consider matters at home which will get attention only if one walks about. There is a serious deficiency disorder in terms of organisational management. Well the main sector for this reproach is the public sector. Of course as per the private sector the tag lines are almost always based on similar to old mission statements of Exxon Mobile – We strive to maximise the returns to our shareholders. With Exxon Mobile having shed this mission statement we have not as a majority. Today the difference is most allocate a small tiny share and term it CSR and the rest of the journey continues. That is why I get quite sceptical when I read about companies celebrating the Evolution of Intelligence. I ask the question, whose evolution are we celebrating and what have we contributed other than place a product from elsewhere on a pedestal and gloat over such with passion? Our own imagination sadly resides drawing a few fragmented lines on a canvas. That there is a serious urgent need for a mindset change within our populace is unquestionable. It is sad to observe that issues that really are addressed are really non-issues. The real issues are no way being addressed well. There needs to be purpose in all our work. Okay, almost all. It is indicated that the emergence of the first coffee house in Oxford brought in fame and change to the university. 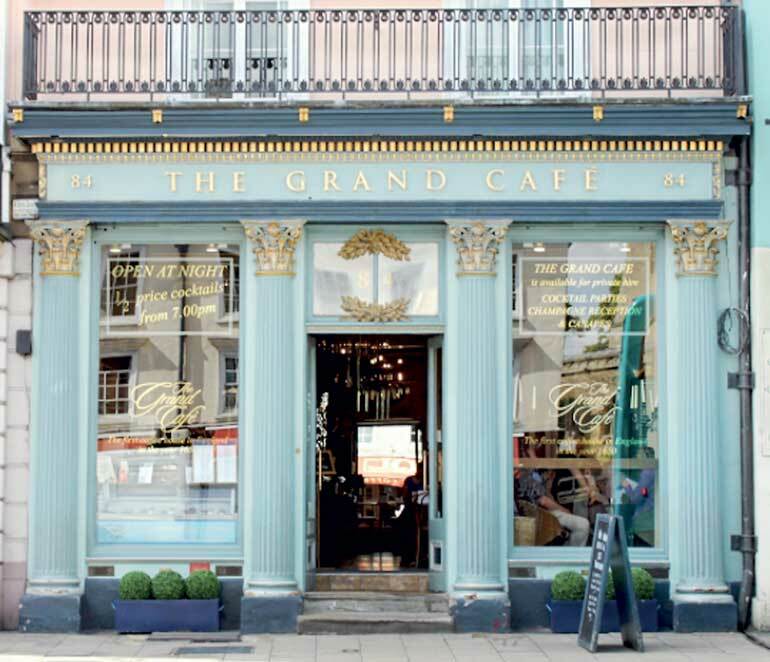 Steven Johnson speaks eloquently on this subject with The Grand Café in Oxford as the backdrop in one of his TED talks. This coffee house the first one in England had started in 1650. It is indicated that for a change university members started drinking something stimulating than depressive which apparently what they were drinking up till then. The presence of dirty water meant that they were more attuned to drinking alcohol – beer in the morning, wine and gin for lunch and again beer with dinner – from dawn to dusk and the state of mind after such a dose had been not up to mark for producing ideas which were of any worth. The reason for taking to alcohol had been due to the polluted water in those days. The appearance of coffee had changed all that and Oxford changed. So did the United Kingdom apparently. In fact Steven attributes English coffee houses and the advent of tea and coffee drinking to the intellectual flowering of the era. Where is our tea house to have an even better drink perhaps? Go past a shop selling liquor and it is always interesting to see the humanity desperately hanging onto iron rails and seeking the miracle drink in the bottle especially in the evening. In much more organised gatherings with the presence of elite too the story is not much different, only a little more refined behaviour which still can turn around if the liquid exceeds certain quantity levels. In a visit to University of Cambridge I was very interested to hear the changing preference to coffee again with the younger generation. Having seeing the customary pub crawl of the students and with plenty of watering holes at Cambridge, this news was indeed interesting. With tea the question uppermost in our minds is to seek ways to sell more outside. A recent news item also revealed that we are also quite keen to import ethanol as liquor sales are booming in the country. The news indicated that the ethanol imports for the manufacture of hard liquor doubled from 10.4 million bulk litres in 2013 to 18.4 million bulk litres in 2016. These are all about legal imports. So most of our gatherings are awash with depressants and we are planning a knowledge economy! Working towards some sobriety appears to be an imperative to start with. 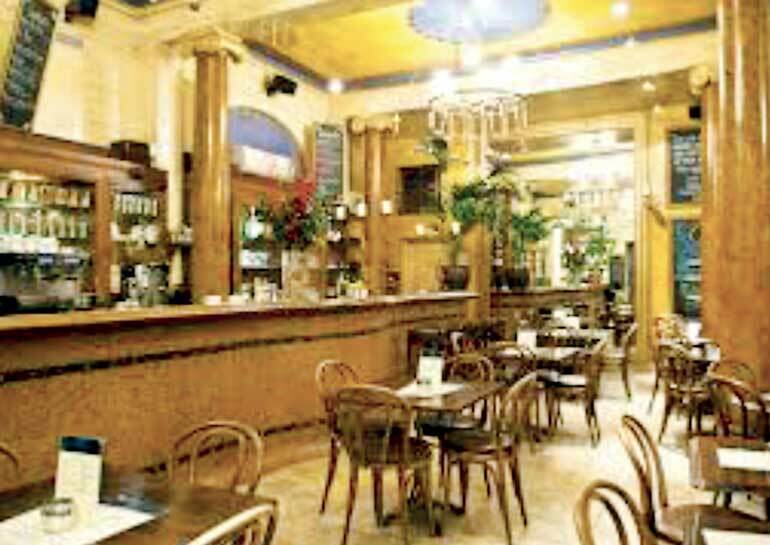 The cafés were known for the environment too – the architecture of the space which supported meetings with a difference. There is something for us to learn from or think about here. Starbucks did send a message in modern times. Sadly most of the time our plans are to organise meetings either formal or informal and then we will be discussing minutes of the past meeting consuming hours and then dig deep into the past for matters arising from minutes and end the meeting fixing another date in future to do the same! All most all our informal meetings are surely spent reminiscing on the past in present time and expecting to move into the future without any meaningful gain. Our preoccupation with the past is surely not going to help us in general.